The Gaffney Indians have won two straight big high school tournaments to start the season. Team members include Brock Hambrick, Ross Jolliff, Seth Taylor, Zack Gordon, Cody Transou and coach Brandon Coggins. The Gaffney Indians are making a strong case for a being a contender for the AAAAA High School golf championship. 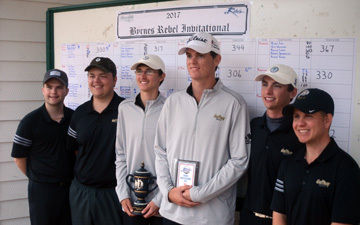 The team won their second straight spring tournament victory by winning the Byrnes Rebel Invitational. The win at the Byrnes event paired with a victory in the Red Raider Invitational in Greenville gets the Indians off to a very fast start. Gaffney posted a 284 total to claim the win. The Indians finished in front of second place Dorman and the defending state AAAA champions from Boiling Springs by 16 shots. With six of the state’s top ten AAAAA teams in the tournament, the event may be a preview of what a state championship tournament might look like. “This tournament had a great field and the teams that are here are contenders for a state championship,” said Gaffney head coach Brandon Coggins. “I think we showed when we play our game we can compete with the other teams in the region and the state,” added the coach. The All-Tournament team included some of the top golfers in the state. Future Georgia golfer Trent Phillips, future Clemson golfer Jacob, Bridgeman, Seth Taylor, George Eubanks, Jr.,and two other future Clemson golfers Colby Patton and Zack Gordon. 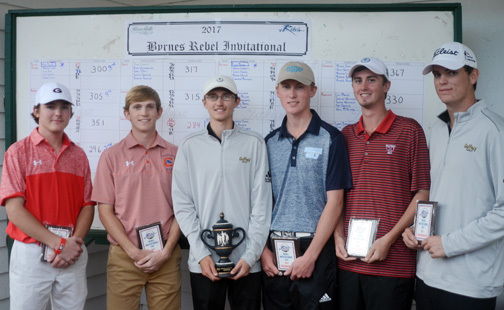 Gaffney’s Seth Taylor shot a 6-under par 66 to claim individual honors in the tournament played at River Falls Plantation in Duncan. Taylor finished three shots in front of Trent Phillips from Boiling Springs and teammate Zack Gordon. “This was the best score I have ever had in a tournament like this,” said the Gaffney High School sophomore. “I didn’t have a bogey today and made six birdies. I had a really good round, this is going to give me and our team a lot of confidence for the rest of the season,” said Taylor. Over the last three years all Upstate AAAA teams and now AAAAA teams have been chasing Boiling Springs. Led by Georgia commit Trent Phillips and South Carolina commit Harrison Corbin the team has seemed unbeatable at times. However, with a pair of tournament wins by the Indians in events that included Boiling Springs some of the challengers for the Bulldogs state title have gained confidence that they could beat the defending state champions. “We have chased them pretty hard for the last couple of years, but we just didn’t have enough to beat them. I think we have closed the gap and we will see how close we have gotten,” said Coggins whose school last one a AAAA title in 2008. 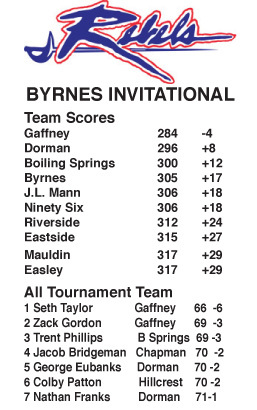 Dorman finished second to Gaffney and ahead of Boiling Springs in the tournament. Cavaliers coach Michael Green thinks with all the outstanding teams and players in Region III the state champions could come from the group again this year. “This region is the best in the state,” said Green. “Last year all four or our teams made it to state and I think we can do that again this year,” he said. In the pre-season rankings Boiling Springs was first, Gaffney second, Byrnes fourth and Dorman was fifth. The only team not in Region III is Wando. The Rebel Invitational field included six of the top-ten AAAAA teams in the state. 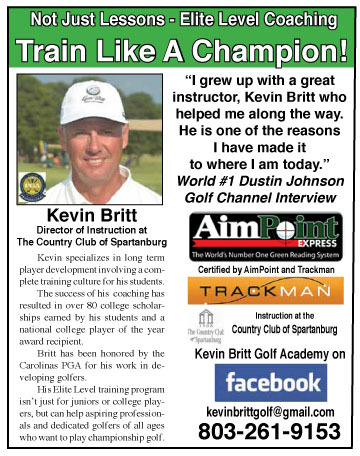 “We have outstanding teams here, but there are a couple of other good teams in the state. Wando brings back all of their players from last year and they can be a contender along with the teams in our region,” said Green. While Upstate teams will play against the best teams in the state during their regional schedule they will also play in a half dozen major tournaments against the best teams in all classifications in South Carolina. 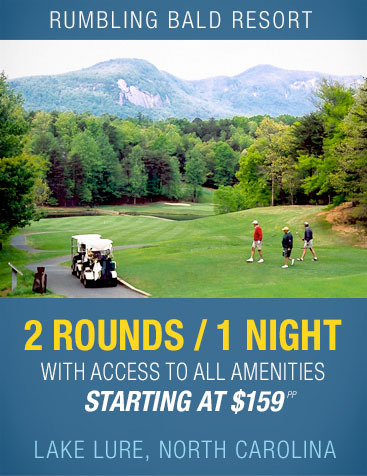 The next major high school tournament is at the Members Club Invitational at Wildwood this weekend. 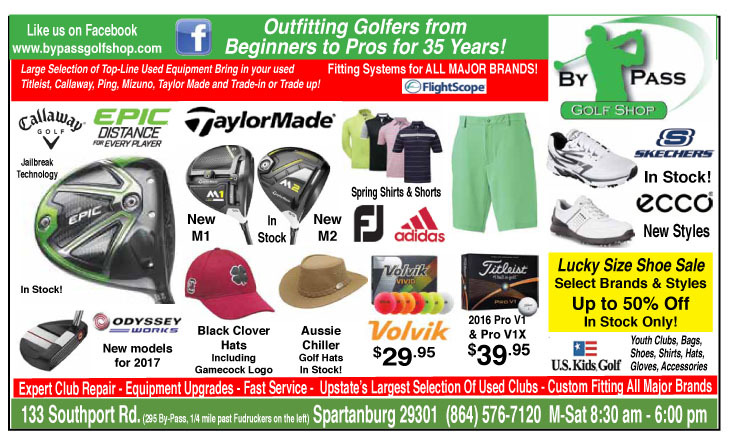 They will also play in the Georgia – South Carolina team matches at River Falls, The Bengal Invitational in Columbia, The Daniel Island Match Play championship and the Southern Cross in Aiken all before the start of the state championship tournaments that begin in early May.